Unlock the fashion icon in you as you wear this kurta from Haute Curry which will become your instant favourite. It has been crafted from a premium quality fabric so as to keep you comfortable all through the day. 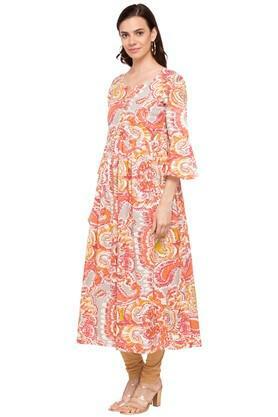 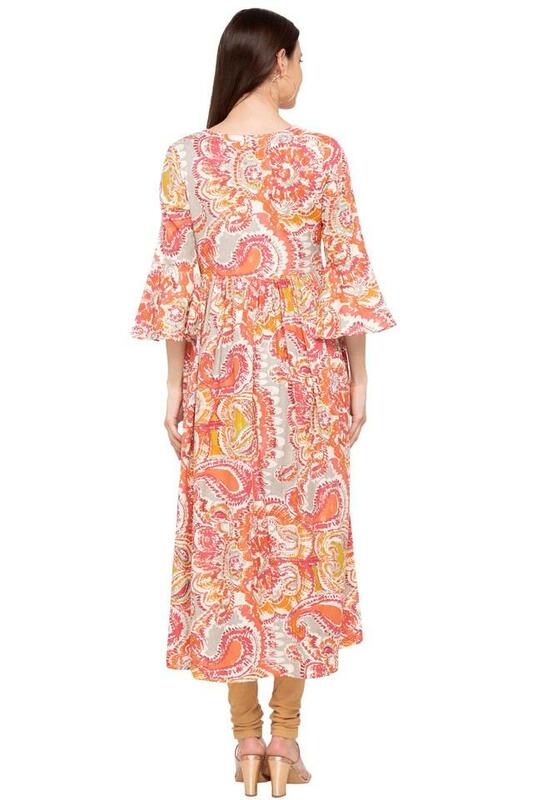 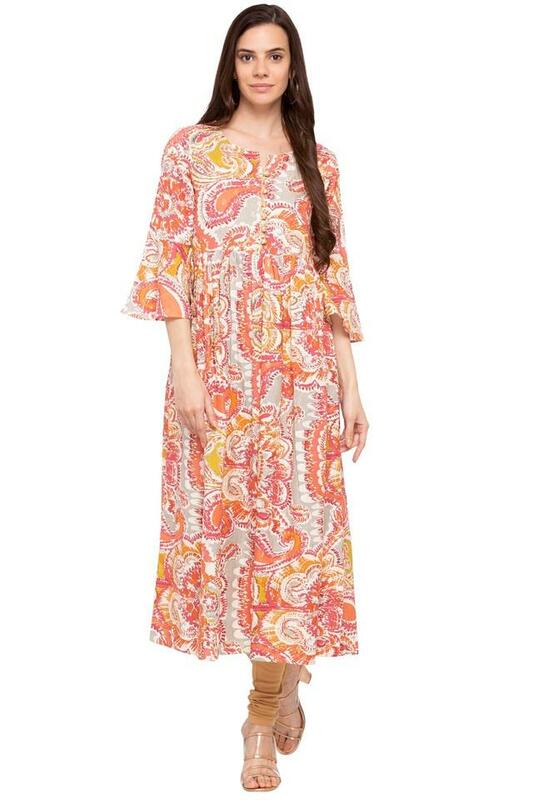 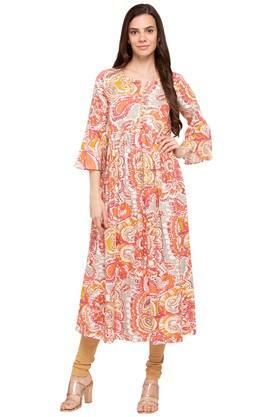 Besides, it comes in a print pattern that looks all the more appealing with the trumpet sleeves and the round neck. 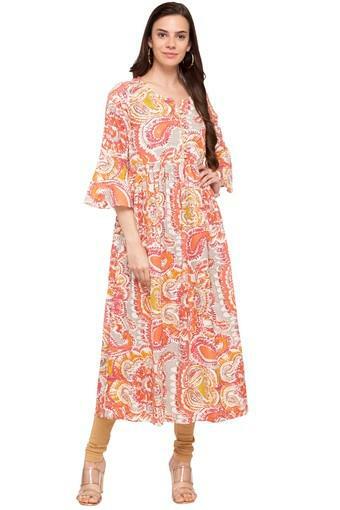 Get the perfect look for any casual occasion by wearing this kurta with a pair of solid pants and heeled sandals. It comes in a print pattern, which makes it stand out.